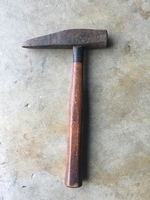 Need idea of hammer age - The Iron Forge Fire Blackmithing Forum. 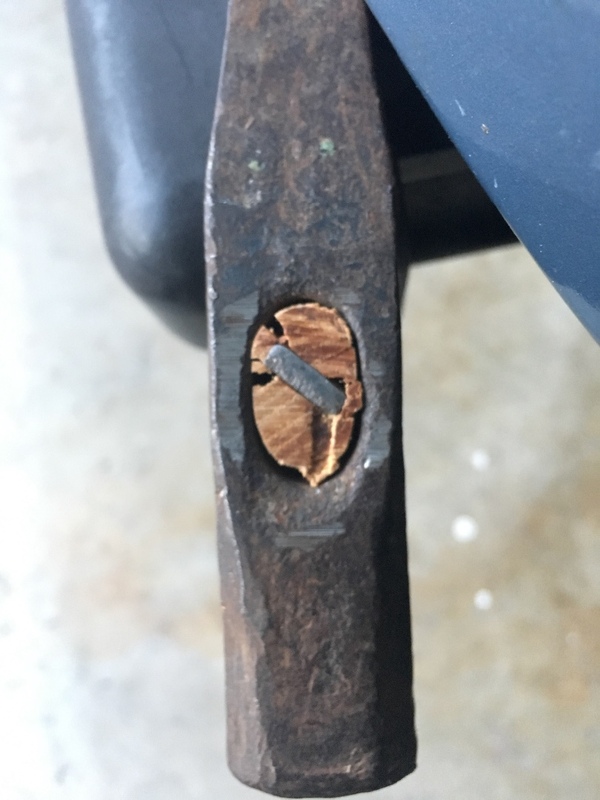 There’s some cracks right at the top of the handle too. Should I not use it? I'm not convinced it's a hammer. The handle itself is pretty small. I think it may be a striking tool instead. Probably special made for a specific task. As far as age goes, it's difficult to tell without some tests. 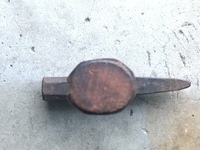 One good test would be a spark test to see if the body is wrought iron or steel. Wrought would mean it was well over 100 years old. If it's just a trick of the pics about the size of the handle in proportion to the hammer cracks that are deep can cause failure. I was thinking the same thing. Looks more like a tool that is struck with a hammer. Maybe a drift? When I first saw it that's what I thought too. Right now I'm torn 50/50 between striking and rock hound. I'm with the stone mason. Am I the only person who thinks the handle is not original to that head? I believe the handle is second hand. The handle could be third or fourth hand. I tend to have to replace handle a lot. 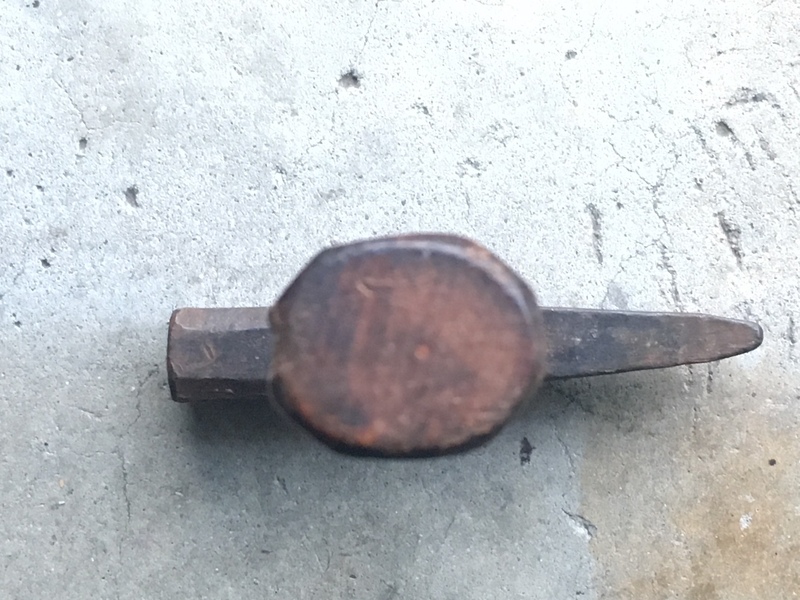 Not a forging hammer but possibly a repousse hammer. The handle is of course irrelevant since it is replaced as many times as necessary.